The new 2018 Chevy Malibu is a dependable mid-size car that brings technology, comfort, and safety all together. 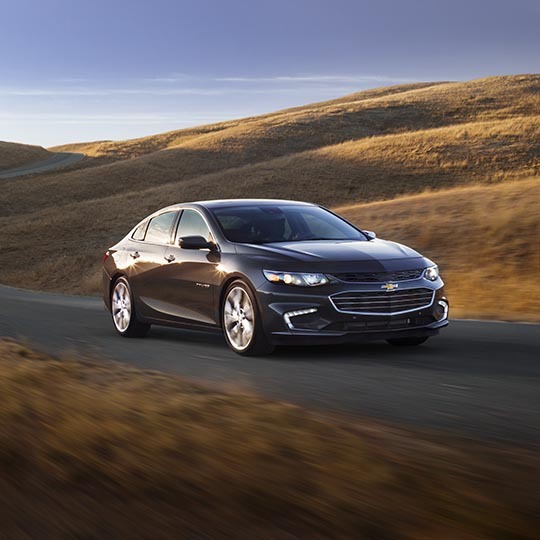 Buy or lease a new 2018 Malibu from Billion Chevrolet, with locations in and around Sioux Falls SD, Iowa City IA, and Clinton IA. Apply now for a car loan and auto financing with Billion Auto. If you already own a new 2018 Chevy Malibu, be sure to service your car with Billion and our factory trained service technicians. This Chevrolet car is available in L, LS, LT, Premier, and Hybrid. The rear vision camera is standard on the LT Premier, and Hybrid. You'll find standard heated driver and front passenger seats and remote start in the Premier. Test drive a new 2018 Chevy Malibu today to learn more. Stop by a Billion Auto Chevrolet dealer today to buy or lease a new 2018 Chevy Malibu from Billion Auto today. Or, view all our new Chevrolet inventory if you haven't quite yet decided which Chevrolet is right for your lifestyle.